I was bravely ploughing on with chapter 4 of my new Willow the Vampire adventure, when I discovered my story was taking a rather unexpected turn. This required me to rethink the entire plot, because to my great annoyance the underlying theme had changed – thanks to my wilful, mischievous protagonist having developed a mind of her own. All truly great children’s stories – those that endure the test of time anyway – have an underlying theme that resonates with the reader, no matter what age they might be. Sometimes this theme might be self-discovery or being brave in the face of adversity or coping with something really difficult like the death of a parent. While on the surface there might be a really cracking story with all the usual twists and turns, the author’s intention will be that the book should be something more than just an adventure story. In other words, there will be layer after layer of themes that the writer has woven in, so readers of different age groups can make all manner of discoveries for themselves. Deciding on an overall theme can sometimes be hard to do and will largely depend on the age range one is writing for. From a certain age onwards children begin to understand comparatively complex, abstract issues like love and hate, fear, revenge and betrayal. This is well demonstrated by the success of TV family shows like Dr Who and PIXAR movies, where the jokes and emotional moments are multi-layered so they appeal to an audience of different ages. New children’s writers and those who perpetually underestimate children (yes, teachers and literature critics, I’m referring to YOU) often don’t get this and doggedly believe just a good “story” is needed to make young readers want to read a book. However, children writers today compete with TV, video and online games, books, comics, movies and the Internet in general for the short attention span a child has to commit to anything. Children are far more sophisticated than literature critics, teachers and many new children’s authors give them credit for, so their books need to reflect this, if they are to stand the test of time and become that fabled thing, a piece of “literature”. Making abstract themes accessible to young, but accomplished readers who choose a novel for the age range 8 to 12 is naturally quite a challenge. Not every child reader will pick up on all the author’s intended subjects straight away. This may only happen at a later stage, when the story is re-read over time. Telling a multi-layered story then is what a dedicated author of children’s literature should be after to prolong the shelf-life of their work. In my last blog entry I mentioned how we can use animals’ characteristics to express human traits of character as well as using certain types of animals as a metaphor for time passing during an important event in our storyline. It is also possible to use creatures of the night (or day) to mirror relationships that human protagonists have with each other. In the animal version it often becomes much clearer what relationships signify – dogs and cats are deemed natural enemies, just like cats and mice or cats and birds. In the paranormal world this would then equate to vampires and werewolves for example or white witches against black magic witches, whereas in the human world the sensitive child becomes the natural victim of the bully in a schoolyard context, while teachers are typically everybody’s least favourite person. Tolkien uses mirrored relationships – as well as mirrored locations – to great advantage in the Lord of the Rings. When we write about human protagonists, we are all too often distracted by what they are supposed to look like, their mannerisms and how they are supposed to carry our plot rushing from A to B. It seems so much easier to express a number of complex emotional issues with the assistance of animals – presumably this is why Philip Pullman included the idea of daemons into His Dark Materials and J K Rowling used the Patronus spell in Harry Potter’s books to show us each individual’s true self (Harry’s takes the form of a stag, his mother’s took the form of a doe). Can you think of other novels, where authors have used animals to mirror a human’s inner self? In my new Willow novel I decided to use the “mirror” technique to show how different relationships can work – some relationships are between adults, some between children, some between vampires and humans and some are inter-vampire relationships…and all of them are upset by a bunch of ghosts! The ghost element of my story will be the most difficult to deal with. They are no longer “concrete” beings, but spirits with their own agenda who might be anything they choose to be, even physically. The nature of ghosts in literature, folklore and film is often that they have unresolved issues and as long as they resolve them, they can finally go to rest. What if they don’t want to though, what if their intention is to ensnare humans to allow ghostly entities back into this world? What if ghosts wish to become flesh once more and have another stab at LIFE, that precious commodity we treat in such a cavalier fashion until somebody tells us, it’s time to take our last breath? Does this ghost theme remind you of anyone or anything? What an interesting post – lovely – I totally agree that children’s writing has to be more than just the story – I’m waited with bated breath for ghosts. Glad you liked it – snobby reviewers like that awful old biddy who “review” my Willow novel no 1 read only on the surface of children’s novels, therefore missing all the important bits. Because the book is aimed at children, so the deaf/dumb/tunnel-visioned reviewer thinks, there cannot be anything more substantial to it… – incidentally, the frightful woman posted on FB the other day that she thinks a public investigation into child abuse allegations at the BBC were a waste of time and money, since it’s none of the public’s business to find out and should only concern the police (this from a woman who had the nerve to tell me she didn’t have another book in her and then promptly published a YA novel after trashing my book – young adult readers who will see her comments and know what type of callous person they are dealing with!!!) . I must send you Willow’s chapter 3, I just can’t made head or tail of it after several re-writes. No doubt you’ll be able to tell me where I’ve gone wrong. Take no notice of her – I spent three years studying Literature and nothing else – I’ve deconstructed more novels, plays and poems than most people have had hot dinners. I know what I’m talking about and wrote so in my review. Sorry if that made me sound like a know it all but it is something I know about so finger up the nose to her. Let’s have a look at chapter three. When I did my M.A. 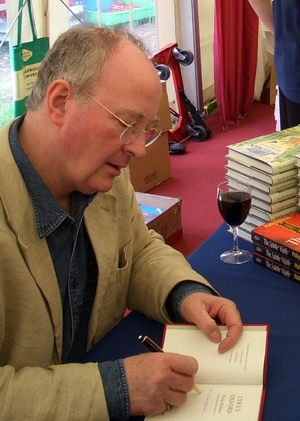 in creative writing, the writer Trevor Hoyle said that the main thing is to just keep going and get a first draft out – it doesn’t matter if it doesn’t all work because it can be fixed – answers sometimes comes as well once you have got to the end of the tale even if it doesn’t all add up when writing. Hugs through the air. i know you also studied like I did but when it is our own work which is being wrongly annihilated, it is too close to us for us to be truly objective and it hurts no matter what – there is no shame in it hurting even if we know that the reviewer is a complete and utter oik – it’s just human nature – your book means a lot to you so you feel it when people come out with clap trap about it. I just wanted you to know that both of us know better. Thanks for sending your third chapter, I truly appreciate the trust. Hugs floating through the air. I didn’t take so much umbrage with the things she said about my book, but rather than she was so vicious with it and me, when I met her and had already helped her a lot with her own book promotion. Also, it made me think how the wrong motives in a person like that would destroy the confidence of some new writers – her comments were clearly designed to stiffle the “competition” and I would imagine such a person would see anyone who can write better than she can as a competitior who must be silenced. I have, incidentally, the rare gift to step outside of my writer’s shoes and look at my work quite objectively, as if reading somebody else’s stuff, so when a critique is justified and backed up by facts, I’m happy to make changes and listen. I’ve never been “precious” about lines, they can always be recycled in a better way at a later stage. Thanks for persevering with Willow Mark 2/chapter 3. I just can’t put my finger at the moment at what’s not working right but no doubt you’re eagle eye will spot it. She sounds like a very silly lady, you’re well out of it. I’ve emailed you about Willow. Yes, she is very silly. Couldn’t believe my eyes when I saw her comment on FB about there being no need for a public investigation at the BBC about J Savile/child abuse scandal. how shocking for an ex-teacher not to care one whit about all those who were abused and the obvious couldn’t care less attitude at the BBC that allowed this to go unreported. I’m so angry with FB, because I have blocked the blasted woman from sending messages to me on yahoo and at FB, but she can still post to my timeline, would you believe it. Now she has apparently ensnared another person who’s helped her with internet and FB…she’s keen to post much more to her timeline, which I shall be forced to see. Stupidly. she also signed up to LinkedIn and tried to get me to link with her about a week ago, after I had told her not to EVER contact me again. Can you believe such cheek? When you said she wanted to see of the competition, I was appalled – it is as important for my friends to do as well as myself – if I’m lucky enough to have lovely friends who are also talented writers, I want to support them, so when you said that it gave me the shivers. When you email me tell me her name so that can avoid her -I don’t want to play her silly games. I cannot get into Hotmail at the moment, it seems to be down but will email you later with details. It really appalled me that here the universities had set somebody up (and I suspect the Welsh curse, Academi, too) as “critic” who knows nothing whatsoever about literature and is frequently doing “reviews” or rather trashing other people’s work, when asked to read a manuscript. Any genres not deemed “litarary” enough – namely all those the “author” knows nothing about, are belittled and drawn through the mud. As you say, most writers I know are very supportive and only give constructive critiques. It is so pointless to be jealous and counter productive, as it means such a person never learns anything from other people’s writing. That’s what I told her at the time but I guess the message didn’t sink in. She is a user of people, somebody used to never giving anything back, now that she’s old, there’s no chance of her ever changing. People like that are so sad and even though they make us want to growl we should feel sorry for them because the greatest joy is in giving. Besides, she obviously doesn’t understand the law of the universe in that what we give out will come back to us. There have been times in my life when it hasn’t seemed so but on reflection this is when the forces of the universe have been trying to change my path because I am so gormless that I haven’t been able to see it myself and they literally have to hit me over the head with a mallet so that I can really see instead of just looking. I’m so glad that I’ve got her name because I will be forewarned – I want real friends who I can build a proper relationship with not someone like that. Unfortunately, because she is elderly, she will always find somebody taking pity on her…until they realise what a nasty person she is. I cannot feel sorry for her in the slightest, as she goes out of her way to be obnoxious. So glad to have found you, my dear! She sounds like a perfect horror bag. I am so glad that you found me too. I no longer celebrate my birthday…but we could do something online for our special day…are you on skype by any chance? We could toast each other:) virtually. What do you mean you no longer celebrate your birthday? When did this happen? I don’t use skype but I will be toasting you. Do you have a landline? The last time I celebrated my birthday was 2 years ago, my 50th. It was such a wash-out that I decided never to let myself be humiliated in that way again. Can’t even remember the last time I got a Christmas present either. When you’re completely alone in the world you have no choice but to get on with things. Well I hope you will let me send you a card and a little bit of something for your birthday. I will check on my BT package over the weekend to check it includes Wales and then I can ‘phone you – I can make calls to England for nothing, I think Wales should be included.